A Mooring complex construction has been started in the ancient capital of Rus - in the village Staraya Ladoga in Leningradskiy region. The works are planned to be completed by the end of autumn. The investment amounts to 50 million RUB. The development company has begun the preliminary works on construction of the mooring complex on the shore of the Volkhov river. The shipment of the construction equipment was already completed and the actual works are planned to begin at the end of August. The new pier will enable the possibility to dock cruise ships with carrying capacity up to 200 passengers. The project is being implemented as part of the order of the President of the Russian Federation on establishing a national touristic and cultural center Old Ladoga. The mooring will be located primarily on water, the piles will be dug into the ground and connected with the transitional bridge. 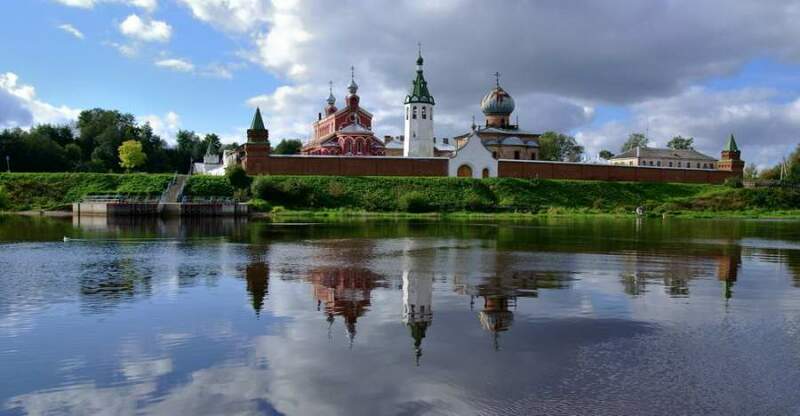 In the nearest future, Old Ladoga supposed to become one of the touristic centers of the new inter-regional project of the Northwestern Federal District "Silver neckless of Russia". The new route from Old Ladoga to Solovki Island is supposed to combine landmarks of Leningradskiy district and 5 of its neighbors Pskovskaya, Novgorodskaya, Vologodskaya districts and Republic of Karelia and St. Petersburg. According to the specialists, the development of tourism industry of Northwest Russia and creation of the cluster of the cultural, pilgrim, event-related, and ecological tourism in Old Ladoga would require approximately 200-300 million RUB. The Old Ladoga is one of the oldest monuments of Ancient Rus; the first capital city to which, according to the records, Varangian princes have arrived along with Ryurik. It has the northern most churches of Rus. Approximately 43% of monuments of Old Ladoga are archeological, 38% are examples of civil and defense architecture of the Middle Ages and 19% belong to the military history of different centuries, including the Great Patriotic War.